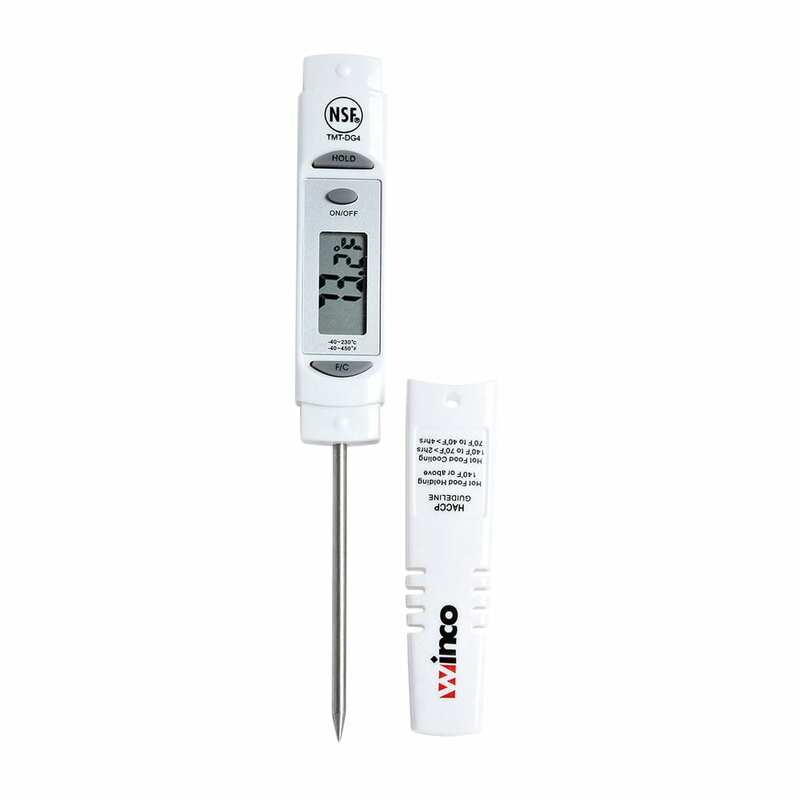 The Winco TMT-DG4 pocket thermometer is designed to be easily transported around your kitchen and help provide accurate measurements that ensure food safety. This model has an easy-to-read digital display and can measure temperatures ranging from -40 to 450 degrees Fahrenheit. 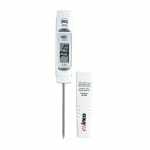 It comes equipped with a 31⁄8-inch-long probe and protective sheath to help keep the probe sanitary when it is not in use.